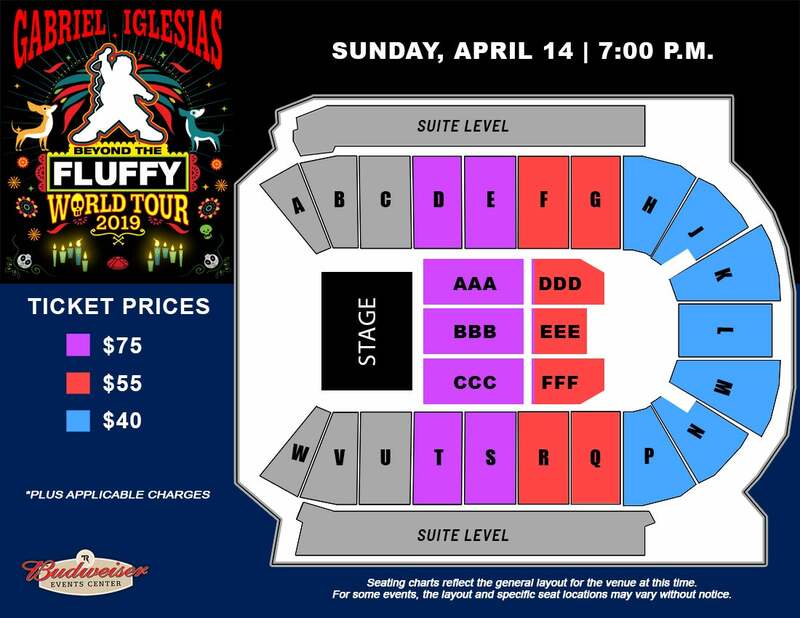 Comedian Gabriel Iglesias will be performing at the Budweiser Events Center at The Ranch in Loveland, CO on Sunday, April 14. This is part of his all new 2019 “Beyond The Fluffy” World Tour. The tour kicks off February 8th, 2019 at the Wagner Noel Performing Arts Center in Midland, TX. Other cities on the tour include Dallas, Phoenix, Daytona, Nashville, Indianapolis and Salt Lake City. In addition to the Netflix comedy series, Iglesias will star in two stand-up comedy specials for the network. The first, titled One Show Fits All, was recently filmed in front of a sold out audience at the Toyota Center in Houston and will air in early 2019. His second special for the network will tape sometime in the next year; both of these specials are follow-ups to his highly successful 2017 special I’m Sorry For What I Said When I Was Hungry.